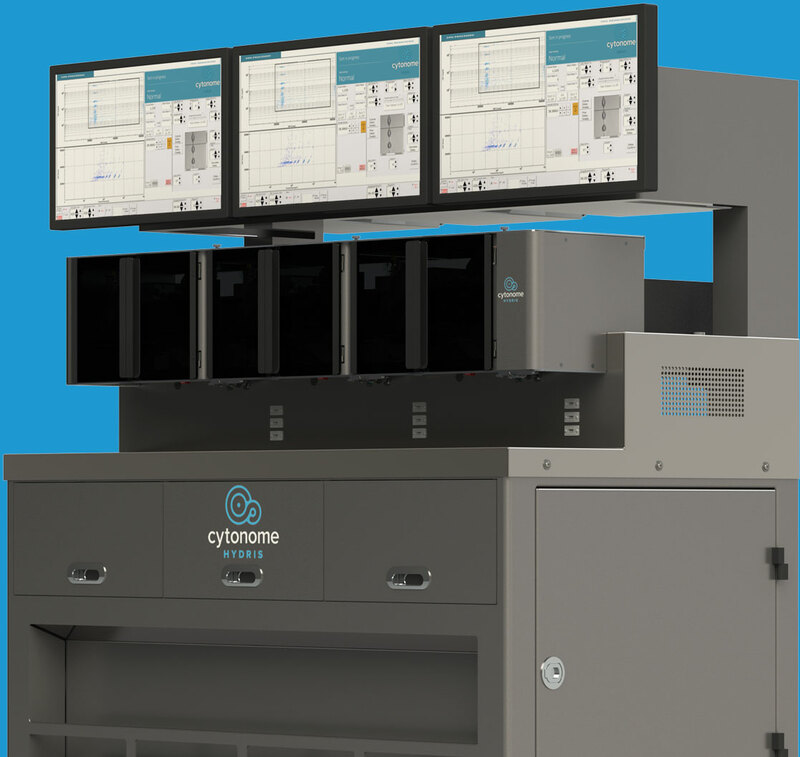 Building on the proven design and worldwide operational experience of the Cytonome Genesis III™ platform, the Cytonome Hydris™ system leverages the power of full-scale, high-throughput cell sorting by means of parallel architecture with optimized droplet sorting technology. 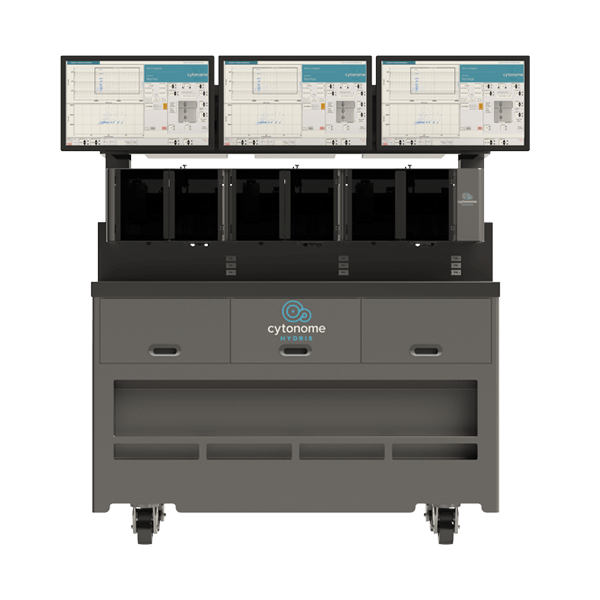 The Cytonome Hydris™ system can leverage custom, application-specific designs with independent sort head monitoring for ease-of-use. 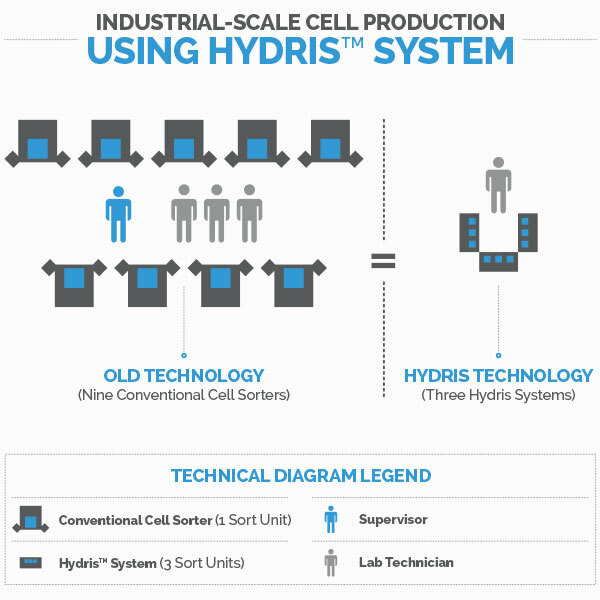 The innovative design provides increased efficiency and productivity benefits and thus can contribute significantly to lean manufacturing.